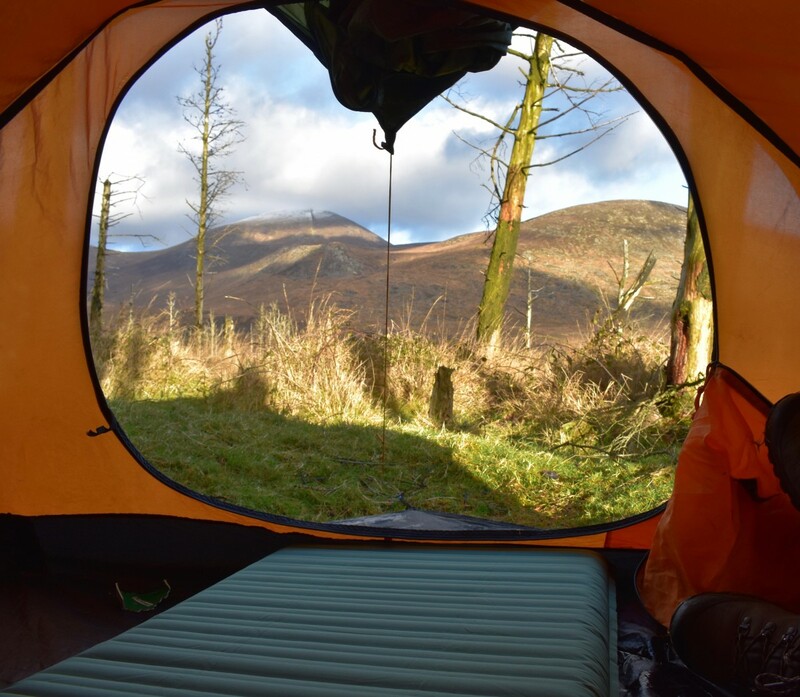 The opportunity arose for me to field-test the Thermarest Neo-Air Voyager sleeping mat. 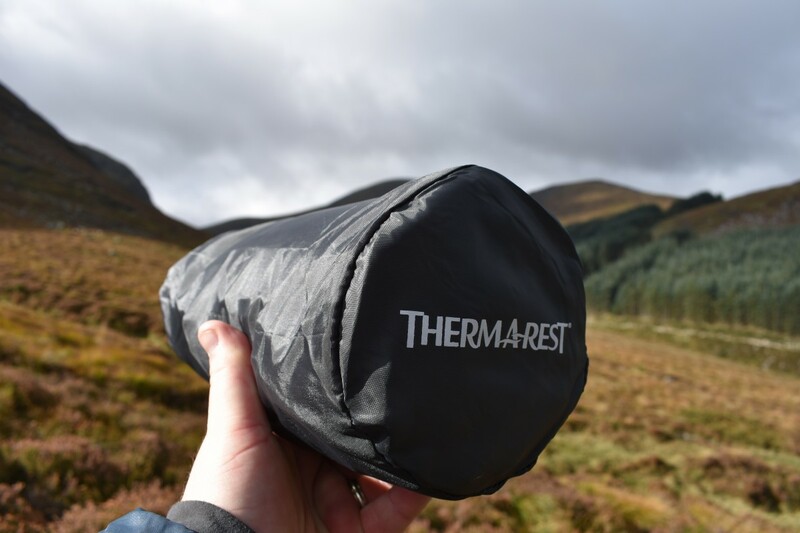 I currently use the Thermarest Xtherm Max which has vastly improved my camping experience. I enjoyed taking a look at how the Voyager differs from the xTherm and how it compares in performance, comfort and weight. Thermarest NeoAir Voyager sleeping mat. 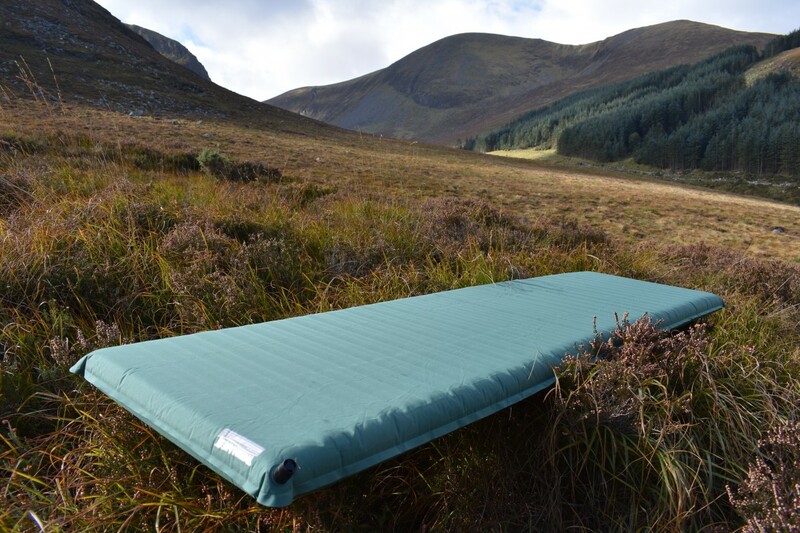 Winters chill could be felt as I approached the Mourne mountains, an ideal location to try out the Voyager sleep mat. I looked forward to comparing the properties between the Voyager and Xtherm Max mat. The Voyager mat incorporates Wacecore construction and heat trapping Thermacapture technology providing heat without excess bulking. Thermacapture is a series baffles with reflective material that protects against radiative heat loss. Simply put, this mat reflects the bodies heat from the mat back into the person using it. 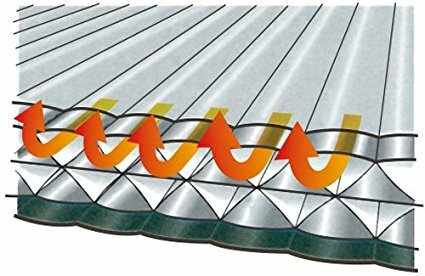 I first experienced this effect trying out the Thermarest Max mat and was won over by the heat reflexing technology behind these mats. As I mentioned previously I already own the Thermarest XTherm Max mat which has changed my camping and sleeping experience. The Voyager mat I tested was 51cm wide and180cm in length, more than enough space for anyone. The voyager is available in three sizes; regular, regular wide and large. 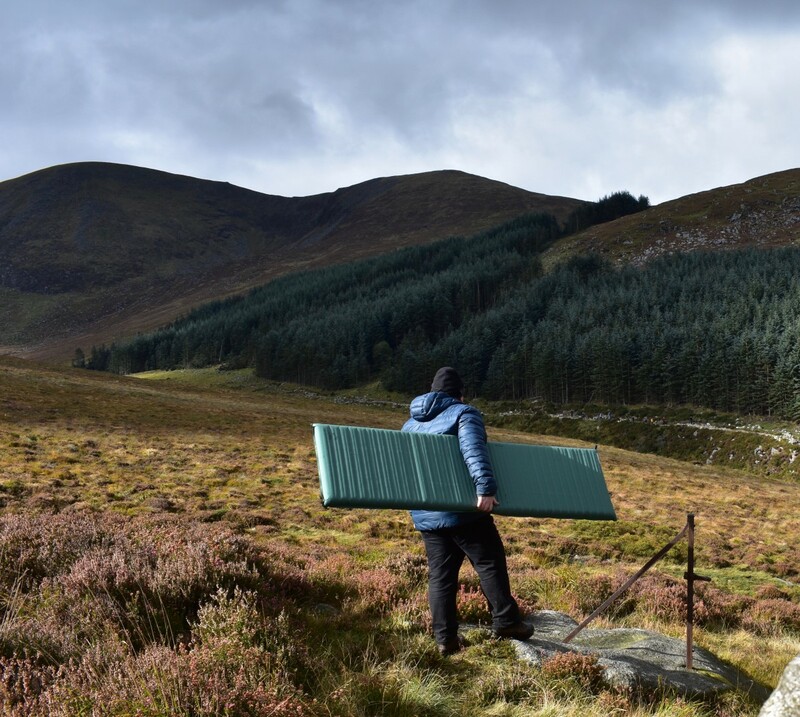 The ( R-VALUE ) of the Voyager mat is 2.2, basically this means it can be used up to temperatures of minus -7, more than suitable for Irish mountain climate. The Voyager mat is noticeable smaller that the Xtherm Max mat, something I welcomed as I found the Xtherm mat was to big to use for a bivvi. When inflated the Voyager mat is 6.3 cm depth, providing a air cushioned distance between you and the cold mountain ground. A welcoming difference was the noise reduction between the Voyager and Xtherm mats. The Xtherm had a crinkling sound when moving around on it, although this was not on the annoying level, you were aware of it. The Voyager mat has no such noise! Thermarest inflating sack ( not included in this model ) I found this a bit tricky to began with but after about 6 minutes I had the mat inflated. Good old lung power ( 52 deep breaths to be exact ) although I have to mention that its not recommended to fill Thermarest mat with hot breath – best to avoid moisture and algae build up. Just like the Xtherm Max the Voyager inflating valve is a twist and pull style which protrudes outwards about 2cm. I tend to sleep with my head on the valve end of mat, this allows me to adjust air pressure if necessary. It also means I can deflate the mat easier the next morning. The Voyager mat weights ( 620 grams 1lb 5 oz regular model.) and packs down to the size of a 1 litre nalgene bottle. As with all Thermarest mats a stuff sack and repair kit are included. The Voyager mat come from Thermarests ” Trek & Travel ” range making it suitable in a range of environments . I found the Voyager mat to be very comfortable with stablished loft throughout the mat. I had no issue with loss of compression or air displacement. voyager mat- packs down well. The Voyager mat is made from 75D nylon . Having used my Xtherm on varied terrain I can vouch to the toughness of the material. The warmth to weight ratio the Voyager achieves makes it more than suitable for year round use in the Uk. Although targeted towards Autumn use I have used this mat in Winter conditions. I’m more than impressed with the Voyagers performance, Thermarest has created mats with cutting edge technology that reflex the heat of the body. The Voyager mat is also smaller which allows me to use it with a Bivvi bag. Quite a high score for the Voyager mat, the only slight negative thing I could find was it that it was quite hard to fit into the sack provided. The Voyager mat offers maximum comfort, coupled with heat retention, low weight and pack size, this mat is a great choice that ticks all the boxes. 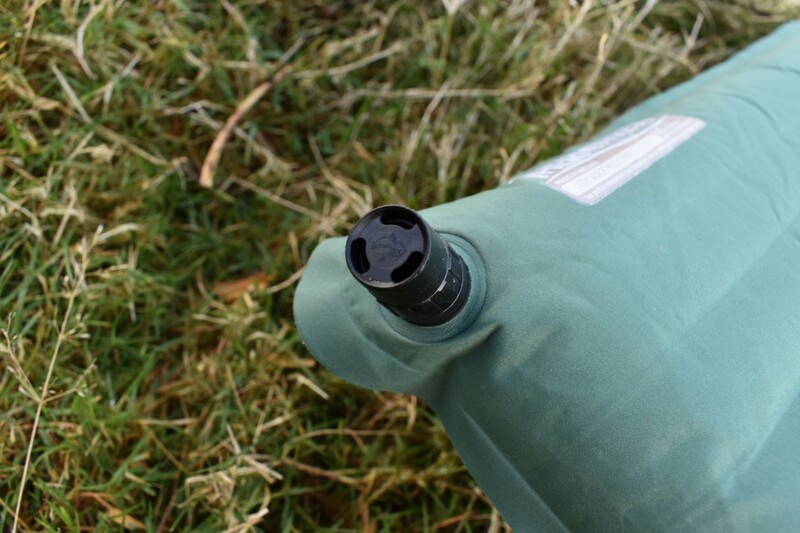 The Voyager mat is easy to inflate, deflate and store making it a clear choice whether you’re experienced camper or just giving camping a go. If you like the look of this product simply click on the link below for more details about the Voyager mat. You look like a hefty guy, like me, some-one who likes his donuts! What weight are you and how would this affect the mattress. I've heard these type of mats are known to balloon up if too much weight is put on one section so I'm not sure if this may suit.